Learn how an ecological approach to planting can lead to beautiful and healthy landscapes with experts Linda Horn, Heather Grimes, and Barbara Hughey. This special off site workshop, hosted by The Academy, will focus on meadow, riparian, and woodland restoration at the Spencertown home of artist Linda Horn: local naturalist, habitat restorer and self-taught arbiter of going native. 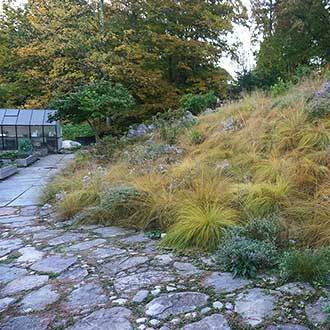 Pay a visit to Jack Potter and David Lebe’s exquisitely designed meadows and gardens down the road for a field study. Spencertown is rife with stands of Japanese Knotweed (Polygonum cuspidatum) a noxious invasive weed and very difficult to eradicate. Local gardener and special guest, Bob Newman, will give an update on inventive control methods that he is employing along the creek adjoining his property. 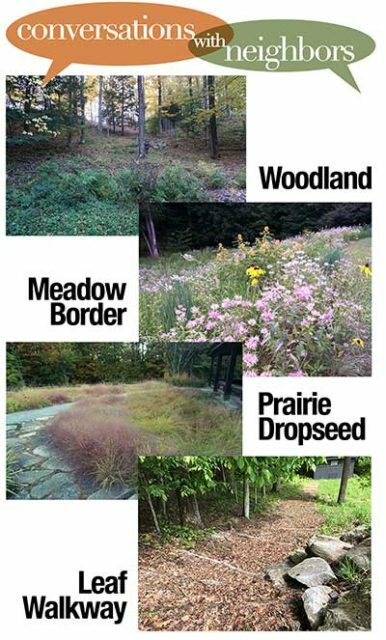 Linda B. Horn has been practicing landscape restoration for 25 years both in the midwest on tall grass prairies and in her Spencertown, NY, woodlands and short-grass-meadow landscapes. Accompanying Linda will be Barbara Hughey, who has 40 years of experience as a land stewardship consultant, native plant landscape designer and project manager with help from garden designer Heather Grimes, who has worked closely with Linda on designing and restoring her NY landscape. Advance reservations required and space is limited. $55 per person. Continental breakfast served.